We’re so excited to be announcing another new author joining the team today! Please welcome USA Today-bestselling author Mindy Klasky! 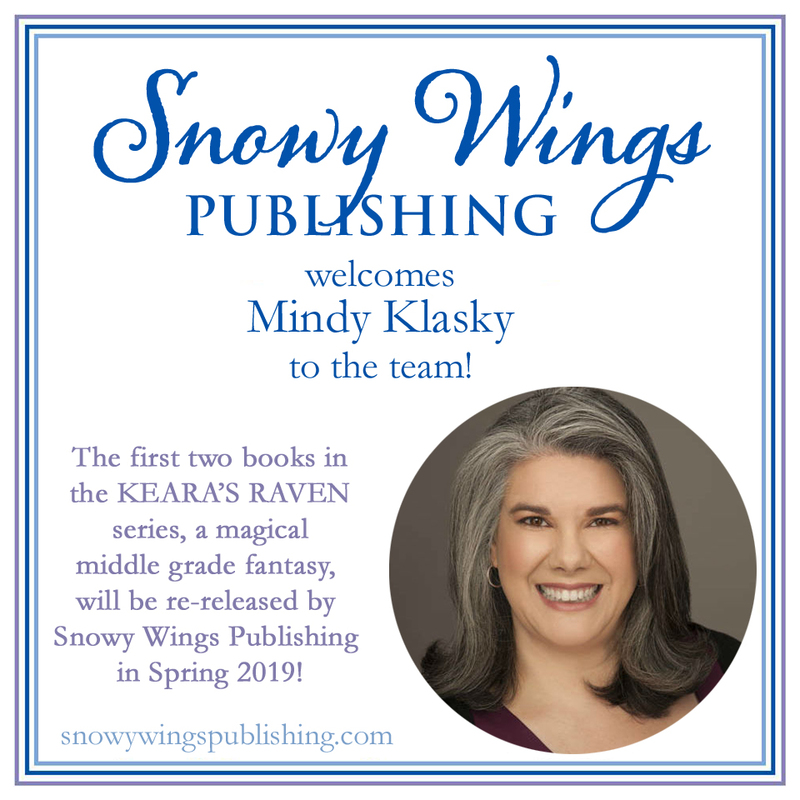 Snowy Wings Publishing is pleased to announce that we will be republishing the KEARA’S RAVEN series, a magical middle grade fantasy by Mindy Klasky, in Spring 2019. Originally published as REBEL FLIGHT, the story follows a young girl names Keara who lives in a world where children must sacrifice a bonded animal—and the consequences that ensue when she chooses to save hers instead. Keara’s Raven was a hit when it was first released, earning some rave reviews, including from beloved author Tamora Pierce (Song of the Lioness) who called it “colorful, heart-stopping and heart-wrenching—a fantastic read!” We can’t wait to share the new edition with you all.